The conclusion of this agreement is a milestone in Swiss trade policy. As was the case with the free trade agreement with the People’s Republic of China, Switzerland has succeeded in concluding an agreement with a major partner state before the EU. 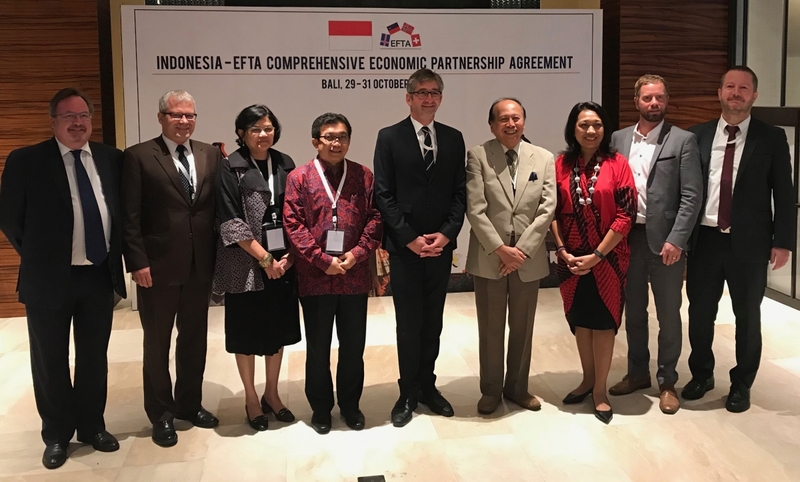 The free trade agreement is of great economic importance for Switzerland: Indonesia is the world’s fourth largest country in terms of population with 260 million inhabitants, and is therefore a major potential market. Furthermore, Swiss concerns on safeguarding sustainability were fully taken into account: firstly, the agreement contains provisions pertaining to trade and sustainable development, which are also directly relevant to palm oil production. These include a requirement to comply with and implement multilateral environmental treaties and to respect the basic rights of workers. Furthermore, the agreement contains provisions on promoting the sustainable management of forest resources, in particular by combating illegal logging. Secondly, EFTA has succeeded in securing agreement on a provision specifically on palm oil. That provision contains further reaching obligations to ensure sustainable production and trade in palm oil and other vegetable oils.